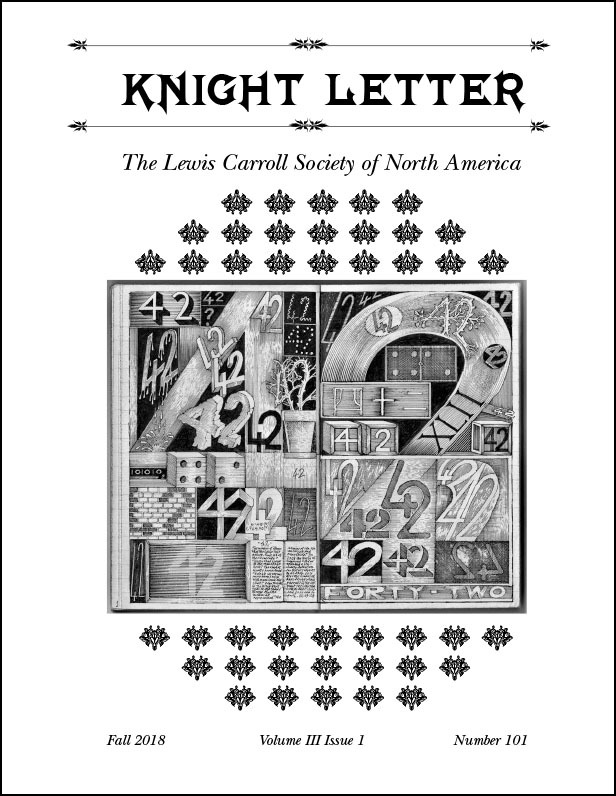 The Knight Letter (ISSN 0193-886X) is the members-only magazine of the Lewis Carroll Society of North America, and comes free with your annual membership. It is printed on high-quality paper, and is copiously illustrated with photographs and artwork (after all, what is the use of a magazine without pictures or conversations?). 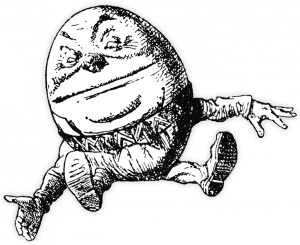 Membership/subscription inquiries should be sent to the Secretary, Sandra Lee Parker, secretary@lewiscarroll.org. If you wish to join/subscribe online you can do so on our Membership page. Please Note: We recommend submitting soft copy submissions via e-mail as we cannot guarantee return of hard copy submissions. The decision to publish or not publish any submission rests solely with the Editors. A limited number of the following back issues are available for sale. We encourage you to buy any that interest you now, as in some cases there are only a handful of copies left. All back issues of the Knight Letter are available online at the Internet Archive. The media mail shipping cost for non-members is $2.50 for the first issue ordered and $1.00 for each additional issue shipped to a U.S. address; shipping is free for members with U.S. addresses. You can donate to any of our worthy LCSNA funds!